VOTE... & get it while you can from Flying Melon, Back Porch, and Pony Island! Many Ocracoke eateries close for the season in November. Check out our updated list of Who's Open for off-season eating, drinking, playing, and staying. Make a plan to vote Tuesday! 4:30am: Hatteras-Ocracoke ferry route switches to winter schedule. Remember to allow an extra 20 minutes to get to the north end of Ocracoke due to work on the road. 6:30am Election Day!! Polls open at the Fire Hall and stay open until 7:30pm. (Use the back entrance.) 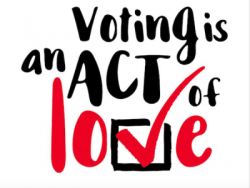 Do you civic duty: VOTE! If you're there around lunchtime, you'll see the Ocracoke Current! 7pm: Island Trivia @ Gaffer's. $2 to play; form a team with up to four players. Fun prizes and bragging rights to the winner! 8:15: Ocracoke School Veterans Day Assembly @ School flag circle. 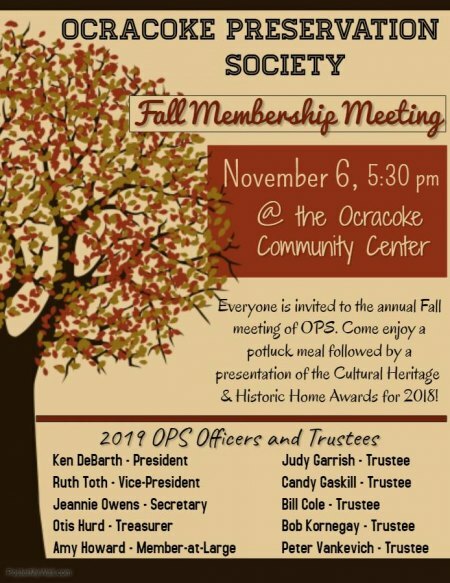 Everyone is welcome; veterans will be honored by Ocracoke School students. 5pm: Last day of the season for the Flying Melon Cafe. 7pm: Festival Latino de Ocracoke Concert @ Community Center. Concert with Angles Diaz, 7–9pm. Food and drink available for purchase. Note: The Coyote Music Den show for tonight has been cancelled. The last show of the season will be Friday, November 16th. 11am: Festival Latino de Ocracoke @ School Road and Books to Be Red yard. Games, food, music, dance, and more, 11am – 4pm. FREE festival -- all are welcome!! 7:30pm: Festival Latino de Ocracoke performance @ Ocracoke School gym. Music and dance performances, 7:30–9pm. 9pm: Festival Latino de Ocracoke Dance @ Community Center, 9pm-midnight. Dance with Rafaga Nortena! 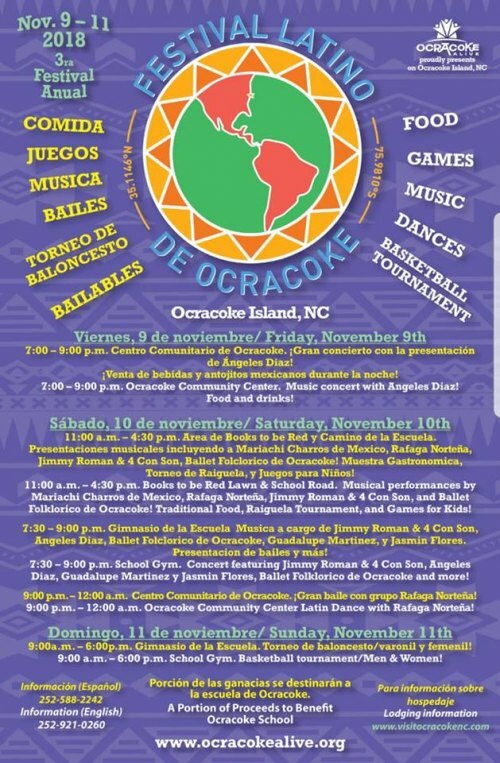 9am: Festival Latino de Ocracoke Basketball Tournament: basketball tournament at Ocracoke School Gym from 9AM-6 PM. Cash prizes will be awarded and food will also be available so you can nibble while cheering on your favorite team. All are welcome to form teams and participate. If you would like to compete, contact Daimir (252) 945-3231. Proceeds from the Festival Latino de Ocracoke will Benefit Ocracoke School and Ocracoke Alive’s programming in the island community.